Experience Box brings you this amazing and very unusual team building event : a deep sea fishing contest between several special fishing boats. The event will start generally from Puerto Banus, Marbella. 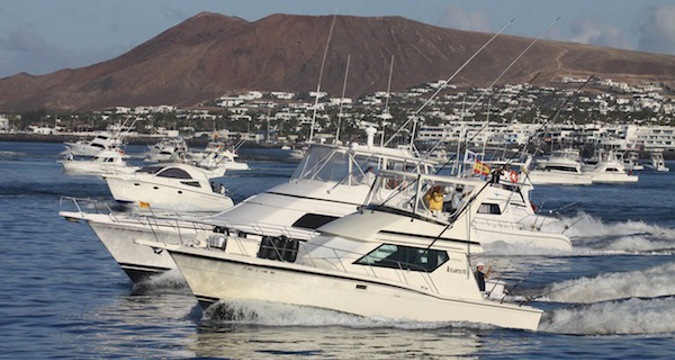 We would for example charter 3 to 5 deep sea fishing boats for your group and organise a contest during 4 to 8 hours, depending on your expectations. Accompanied by qualified fishermen to help you catch the nicest and biggest fish, you will enjoy an amazing day in the Mediterranean see. If you opt for a full day fishing contest, we could organise on board catering (sandwishes, soft drinks, beers, etc). Deep sea fishing contests are without doubt one of the most original team building activity to be enjoyed in Southern Spain. And if you feel like combining it with other activities like laser clay shooting, track days or paella contests, this is also possible. It's a great activity for TV show filming in Spain. The sea fishing competition makes a great corporate event, combining teal leisure and incentive items. It can be done for groups of 6 to 40 persons. For larger groups, ithe activity can be combined with other watersports and group divided into several sub-groups.